Economic indicators abroad can affect how likely you are to find a recycled collision repair part in the U.S. and how much insurers selling totaled vehicles for salvage will collect, an industry analyst said Tuesday. Crush metal salvage values have reached a 10-year-low, probably because of the Chinese recession putting a dent in world demand, Mitchell industry relations Vice President Greg Horn said on a webinar discussing his company’s quarterly Industry Trends Report. “That was the biggest market,” he said. Insurers face a “big decrease” in salvage revenue, according to Horn. “The bottom has really dropped out,” he said. However, salvage prices might increase again if Chinese and underdeveloped economies rebound against the dollar, he said. Seventy percent of all salvage is influenced by exchange rates, and 35-36 percent of all salvage ends up abroad, he estimated. If economic problems and weaker foreign currencies curtail salvage bidding in Asia and Europe, recycled parts “also stay here at a cheaper price,” according to Horn. 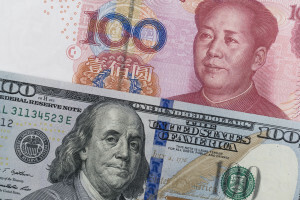 Exchange rates also left the Canadian market “very concerned” for a different reason: Stronger dollars in the U.S. and Taiwan have meant higher parts costs, Horn said. Perhaps because of this, Canadians weren’t offsetting fewer average OEM parts with more aftermarket ones the way they have been in the U.S., based on Mitchell’s data. “We’re seeing more repair going on in major panels than replacement,” Horn said. Another potential future salvage factor: Cars using more advanced materials might mean the rebuilding potential “just won’t be there,” according to Horn. For example, the 2016 Honda Civic’s ultra-high-strength steel rails can’t be sectioned, only replaced at factory seams. So trying to rebuild a totaled model safely could be impossible. As for the remanufacturing industry, Horn noted that collision repair demand had predominantly been reduced to alloy wheels in the U.S. (In Canada, it was “almost 100 percent” wheels,” he said.) After all, anyone needing a bumper could just buy an aftermarket one instead of getting a remanufactured part, he said. Mitchell U.S. estimates saw an average of 0.31 remanufactured parts in the fourth quarter of 2015. “It is really reduced as a parts category overall,” Horn said. However, the larger diameters on newer wheels would put upward pressure on remanufactured parts prices, he observed.